Since I’m inadvertently serving as ad hoc translator and bridge between mutually-misread populations cohabiting in Bali . . . This news hasn’t filtered through to non-Indonesian-language media yet. 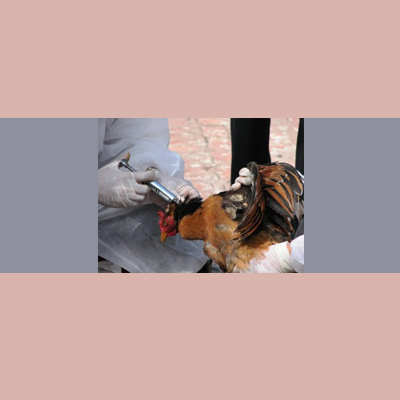 For the past several weeks there have been outbreaks of a new strain of bird flu among commercially-raised and traded birds (chickens, ducks). No human cases. None. So don’t freak out. East Bali was first hit, and an aggressive response following W.H.O. protocols by health and agriculture and community agencies followed. All poultry around and about were rounded up and incinerated, affected locations aggressively disinfected, etc. Controls at checkpoints where poultry enter Bali (ferry ports) were stepped up. Despite this, more outbreaks have ensued. Now (as this national news story relates), there are outbreaks in four regencies in Bali. It’s nothing for a tourist or expat to get their knickers in a twist about, but it’s probably worth noting. 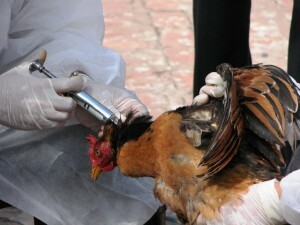 Just don’t hang out at industrial chicken farms or bird markets (at least not without a mask and gloves). I’ve been quite carefree, perhaps to carefree, myself. I went to the Beringkit chicken, duck, goose, bird market in Mengwi on Sunday . . . had a grand time among masses of filthy birds . . . with no mask . . . although many of the vendors were wearing masks themselves. I won’t be doing that again. Happy to go back there, but with mask as a precaution, gloves for handling geese I’m interested in, and a hot disinfecting shower afterwards.